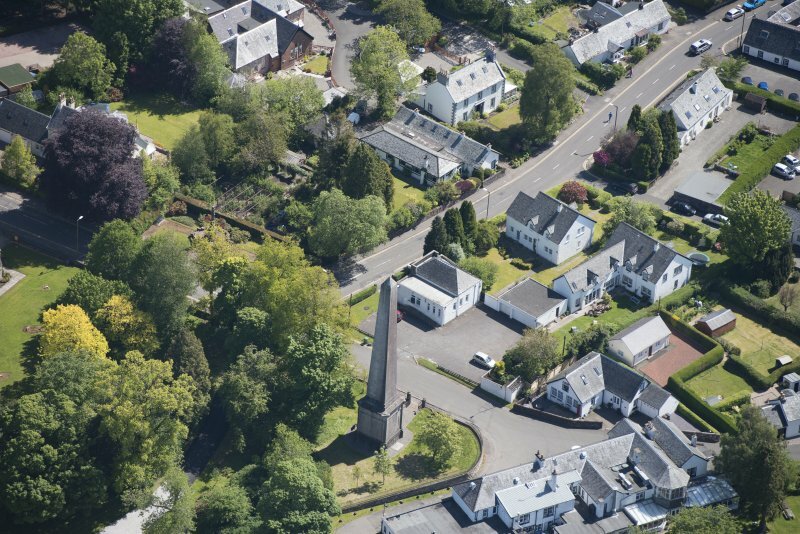 Oblique aerial view of the Buchanan Monument, looking E.
Oblique aerial view of the Buchanan Monument, looking WSW. 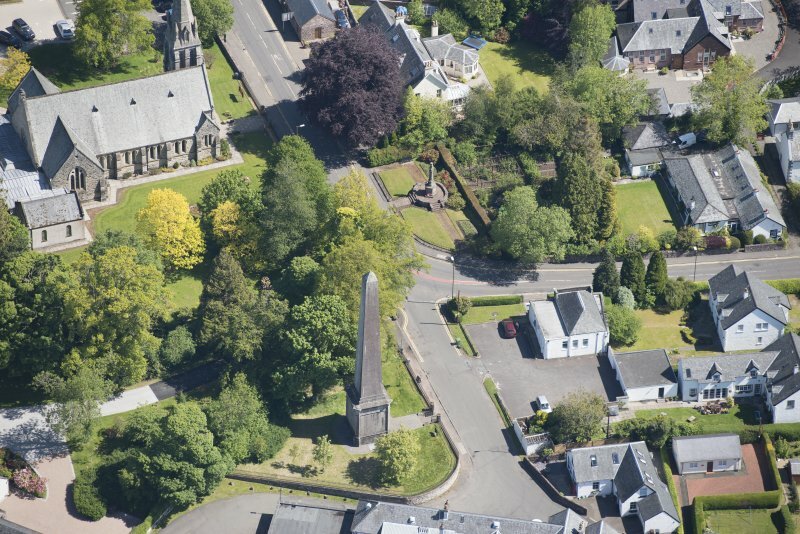 Oblique aerial view of the Buchanan Monument, looking WNW. 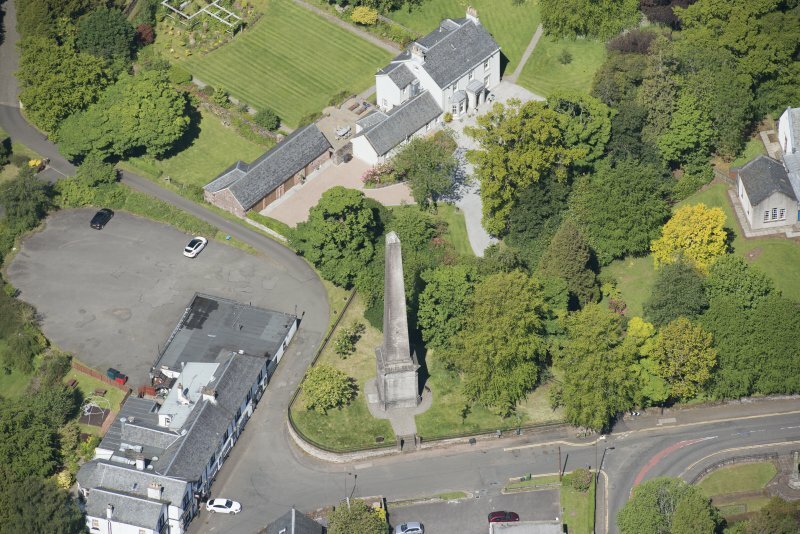 Oblique aerial view of the Buchanan Monument, looking NW. 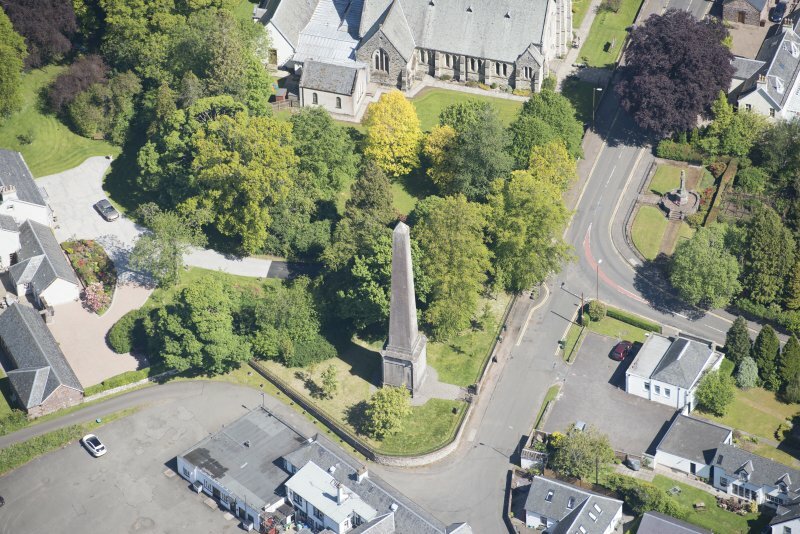 Oblique aerial view of the Buchanan Monument, looking NNW. 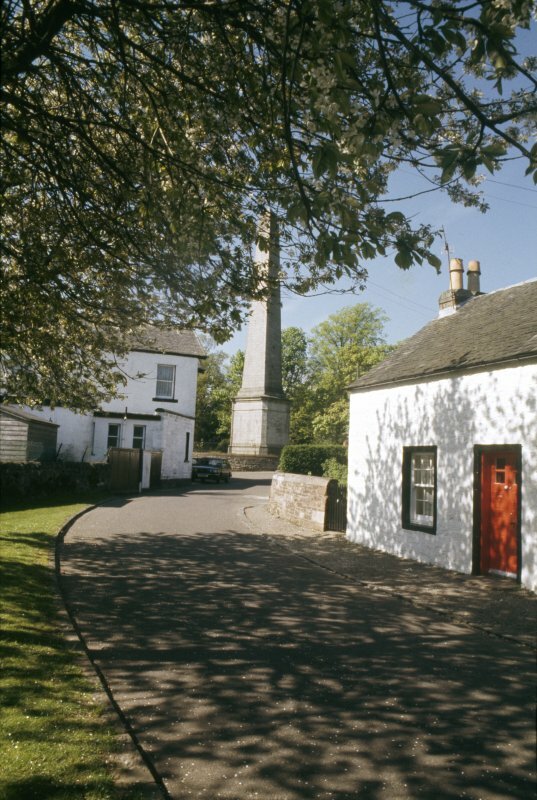 General view of village square and Buchanan monument, Killearn. 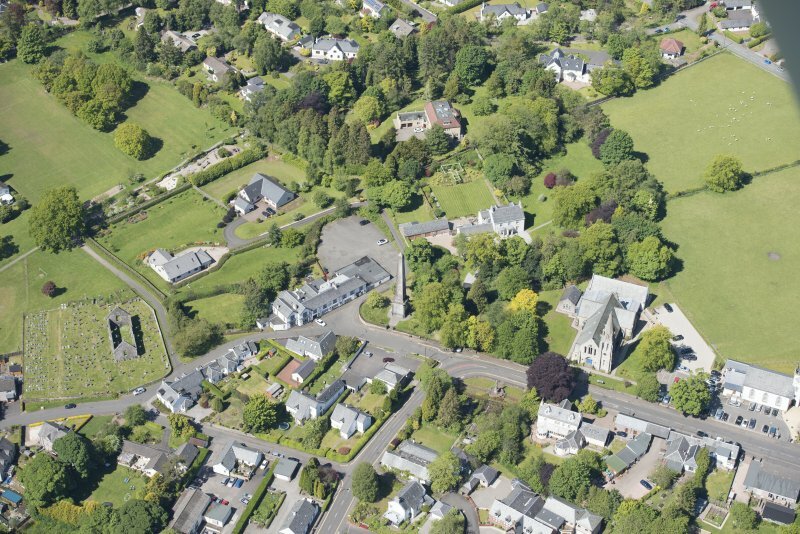 Oblique aerial view of the Buchanan Monument, Killearn Parish Church and Killearn Old Parish Church and graveyard, looking NNE. 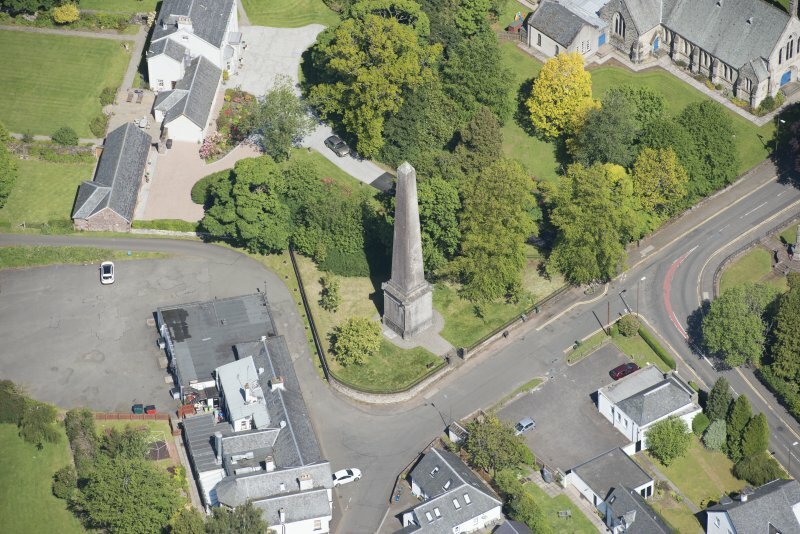 Oblique aerial view of the Buchanan Monument, looking NE. 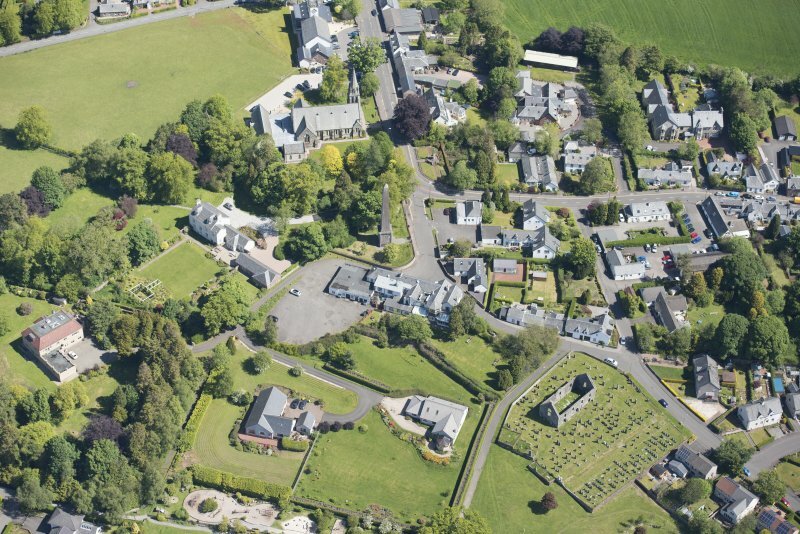 Oblique aerial view of the Buchanan Monument, Killearn Parish Church and Killearn Old Parish Church and graveyard, looking W.
Erected 1788 in honour of the scholar and historian George Buchanan, born at Moss near Killearn in 1506. 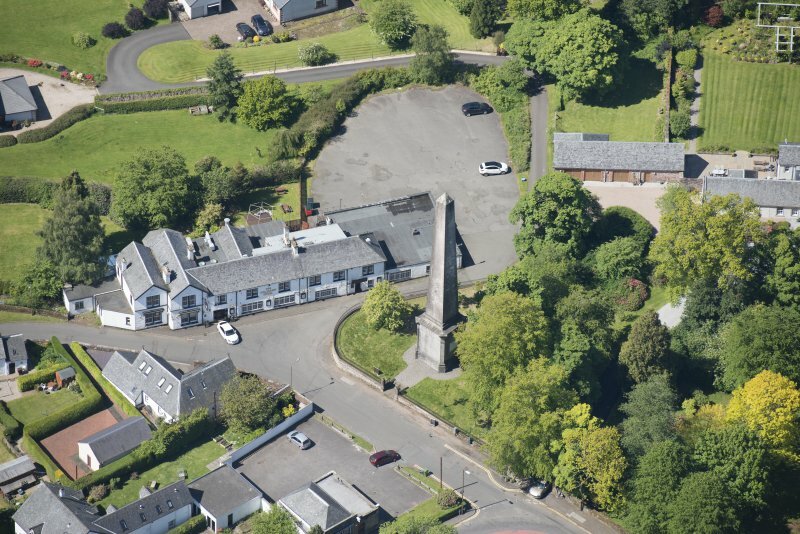 It is an obelisk of grey sandstone 103' high, on a base 19' square. It was repaired in 1850.